It looks like we might be in for The Year Of The Spy: 2015 will see new installments in the James Bond and Mission: Impossible franchises as well as Paul Feig’s action-comedy, Spy, starring Melissa McCarthy. But first out of the gate is Matthew Vaughn’s Kingsman: The Secret Service, based on the popular comic book series from Mark Millar and Dave Gibbons. The film stars newcomer Taron Egerton alongside Colin Firth, Michael Caine, and Samuel L. Jackson. It’s already received some good buzz from overseas and, if there’s any doubt about quality, then the red-band trailer below should at least prove that this movie is going to be nuts. 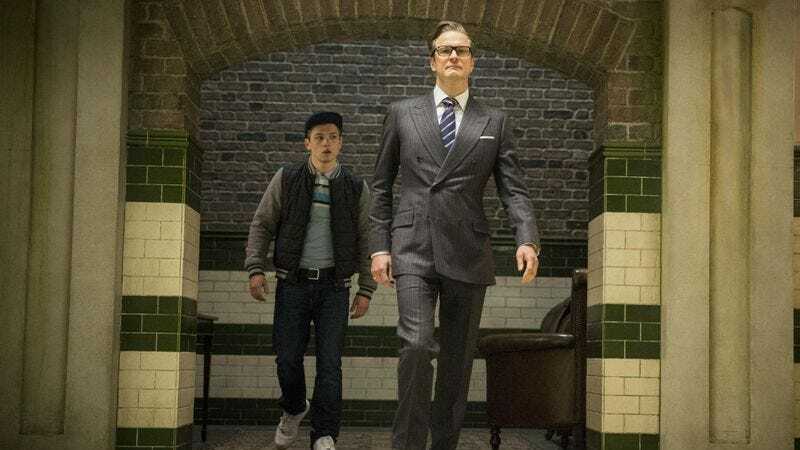 Kingsman: The Secret Service opens in the U.S. on February 13, but The A.V. Club has an opportunity for its Chicago readers to see it for free on February 10. For your chance to win a pair of passes, follow the link here and enter your information. Winners will be notified via email. Remember, seats are first come, first served, so be sure to arrive early. A plot synopsis and trailer is below.